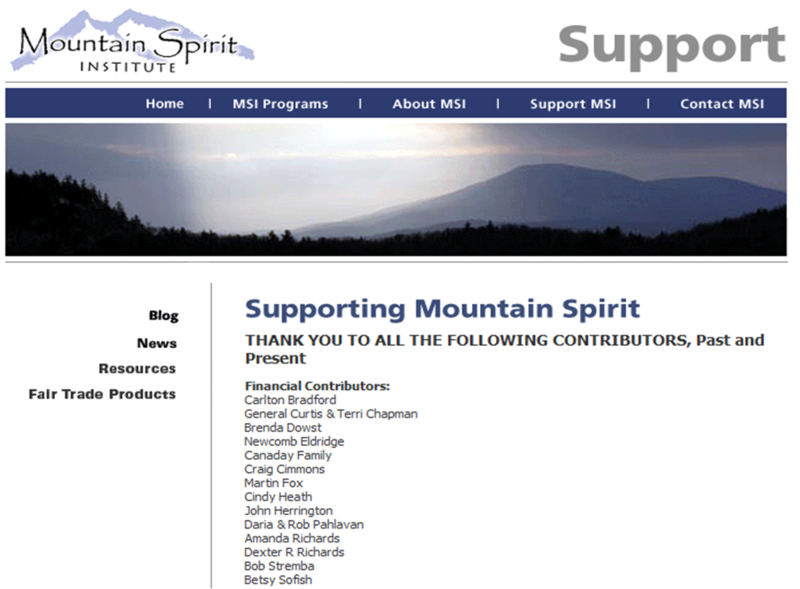 Mountain Spirit Institute thanks all donors past and present, in part, by creating a webpage on our site dedicated to all who have donated time, financial support, gifts in kind, and talent to furthering the mission of Mountain Spirit Institute. To all of you who have contributed to our organization, we, the board members, and on behalf of our program participants past, present and future, to whom your donations benefit, we thank you with deepest gratitude. In Spirit of the Mountains! If you, or someone you know, would like to make a tax deductible donation to MSI, you can do so on our support page.